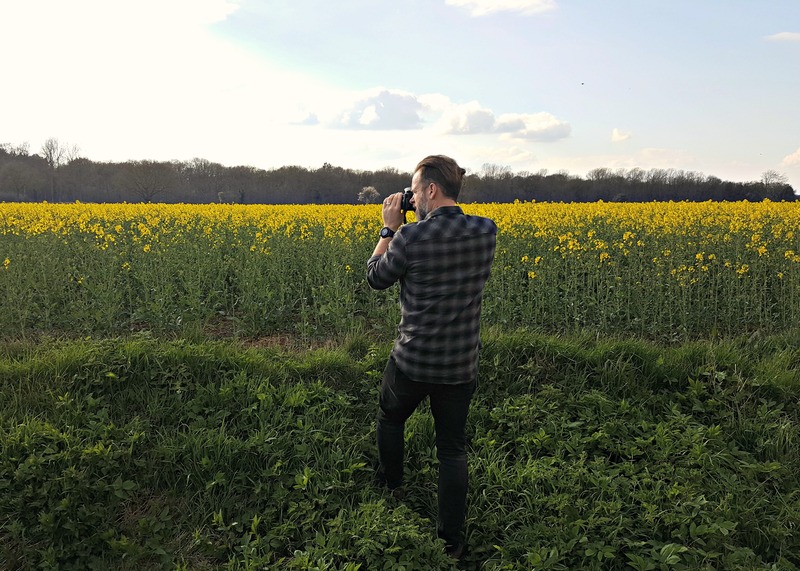 The weekend was spent with Sophie’s family in the Suffolk countryside, a wonderful part of the world, and with a chance to be closer to nature, the camera also came with us. So before we left for the weekend, I headed straight over to the plot. 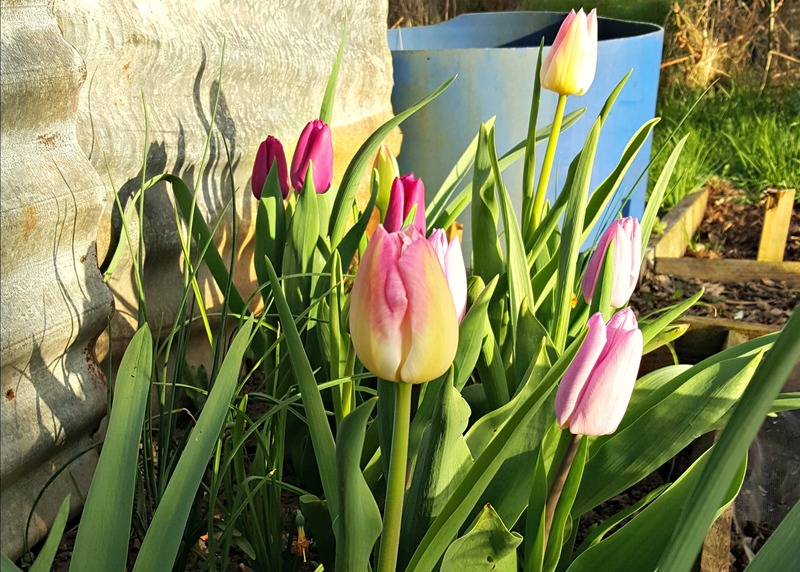 On arrival, I was amazed to see how my tulips have come along. But there was little time to admire them, I needed to water and check on my seedlings. They looked so vulnerable. ‘Soph, do you think they’re old enough yet to be left on their own?’ Her stony response said it all: ‘What are you expecting? A weekend of plant debauchery in the polytunnel? Seedlings downing shots of tomato feed and crowd surfing to The Wurzels Greatest Hits?’ Despite the sarcasm, Soph had a point. Time to release my hold a little. A lot can happen in two days. A weekend of sunshine has not only prompted a growth spurt in my plants on the allotment, but also the surrounding verges. I’ll have to make time to strim these; it’s amazing how quickly they grow. Last year, I was surrounded by abandoned plots and the verges quickly became overgrown. As a result, my plot was badly affected by pests. Thankfully this year, new plotholders have arrived, and things are generally looking a little bit tidier. In other news, National Gardening Week is coming up soon, and I’ve written about what a great opportunity this is to encourage kids to garden. You can check out my piece in Kitchen Garden here. In the meantime, I’m glad to say my garden addiction was sedated. With numerous gardening jobs to be done at my ‘in-laws’, I soon had my hands in soil, and order was restored. There was even time to take a few snaps.